Want to Know if You Can Restore Your Gun Rights? Firearm rights restoration laws are complicated, but our Firearm Rights Analysis service can determine if you are eligible to restore your gun rights. Have any additional questions? Contact us at (877) 573-7273 to speak with one of our intake specialists today! Our Gun Rights Analysis service examines your criminal history and determines exactly what options are available to restore your gun rights. You will receive a written analysis that explains the law, required steps, and price options for you to restore your gun rights. Firearm rights are extremely complex and can be very confusing. Federal and state laws overlap to make this even more difficult. For general information about gun rights restoration, please click here (link to general page). 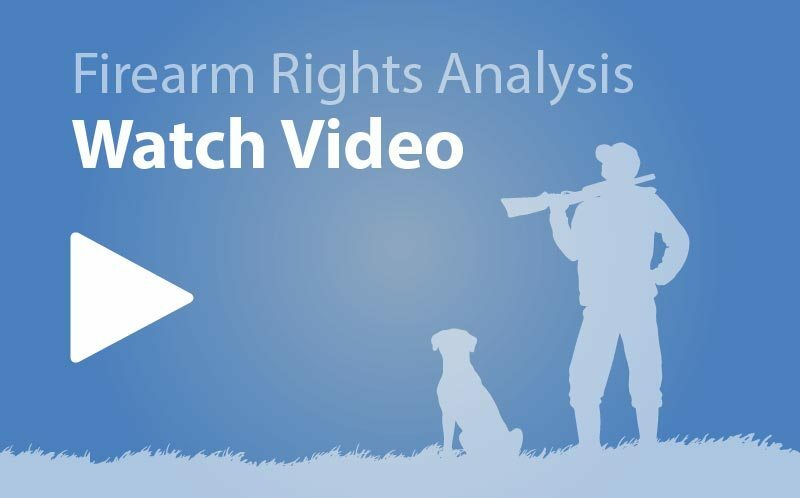 With our firearm rights analysis service, we do the heavy lifting for you to figure out what the problem is and what options there are to fix it. We are the only law firm in the country that serves 17 states and specializes in criminal record clearing. That experience and practice in so many states makes us uniquely situated to not only identify firearm bans accurately but to also restore your firearm rights efficiently and cost-effectively. We are licensed to take legal action for over 200 million Americans. If you are eligible for firearm rights restoration, chances are we are licensed to take your case. Our analyses are based upon your record and all applicable laws which affect your gun rights. We evaluate your record and inform you what parts prohibit your second amendment gun rights and then we tell you how to restore them, if restoration is possible. We most likely are able to take your gun rights restoration case as well, and we will tell you how much that will cost in the analysis. Gun rights restoration services start as low as $750, depending on the state in which your record occurred. If you choose to proceed, the cost of the analysis will be credited to any service for which you eligible. We understand that cost is an important factor in choosing an attorney and we strive to keep our prices fair to our clients. Who should complete this service? Everyone is eligible for this service. However, we only recommend that you complete this service is you have ever been denied a gun purchase, or if you have anything on your record that makes you think you might be denied a gun purchase. When we complete the service, we will determine what services you are eligible for that would restore your gun rights. Clear Road Map: This service will provide you with a clear road map. We will let you know what cases are problems on your record, how you can fix any problems, and we will let you know exactly what the restoration will cost. Low Cost to Start: This service is only $250. To actually restore your rights may cost anywhere from $750 to several thousand dollars. By completing this first, you can plan financially for what a restoration will cost. Additionally, the fee paid for the analysis can be credited towards the the total price to restore your gun rights. Save time: We have seen too many gun purchase appeals to the FBI which were unfounded. Time is wasted when there is a better, and generally faster, way to restore your rights. Less Stress: Let us worry about your case for you. We deal with the little details so you don’t have to. Save Money: We believe in being honest and straightforward with our clients and we never take money for a service unless we think it is the right service. The only way to know which service is a good fit is to do an in-depth analysis of your case. Expert Advice: Many internet forums and online resources have faulty information. We can provide you with expert advice based upon the actual law rather than chat room rumours. In the service, we pull your record and all applicable law. Using our expertise, we then create a personalized recommendation for you that outlines the steps required to restore your gun rights. The process takes anywhere from 2 weeks to several months depending on the complexity of the case. Most of this time is spent waiting for official records to arrive. How many states are covered by this service? We are able to cover any state in which we are licensed. We are licensed in 18 states. Please see our menu bar for which states we currently cover. Will this restore my gun rights? No. Because gun rights are so complex, this service is designed to determine how to restore your gun rights. We will provide you with an individualized recommendation on how to restore your gun rights at the end of the service. You can sign up online or you can call the number on this screen to talk to one of our client intake specialists. To order, click "Buy Now" for your choice of payment, or call (877) 573-7273 to speak with one of our intake specialists. What is included in the analysis? In the analysis we pull court records and complete research on your case. We compile all of this into a written analysis which we then provide to you. Will you continue to represent me, even after the service is complete? Continued representation is not automatic and you are not obligated to complete a second service. In the analysis, we will offer you any services which we believe will be helpful to you. You can choose to accept any of these services and then our representation of you will continue. We have cleared over 23,000 cases and have an 'A+' BBB Rating. We have more than 50 years of combined experience. We will make sure your case is done right and that you get the maximum amount of relief available. 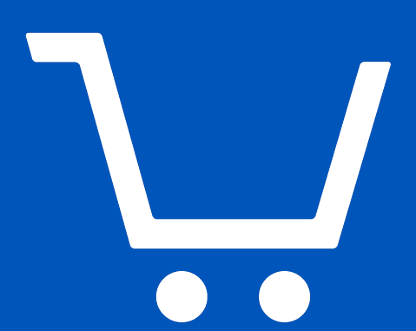 Our customer service has earned multiple awards and honors, including 4.8/5 stars from ShopperApproved.com and a Client’s Choice Award from Avvo.com. Most of our services come with a money back guarantee. RecordGone is a division of the full-service law firm, Higbee & Associates. Our attorneys are experts in employment and licensing law as it pertains to criminal records. We can help our clients get a license or job and keep it. Our online case management system gives you up-to-the-minute details about your case 24 hours a day.